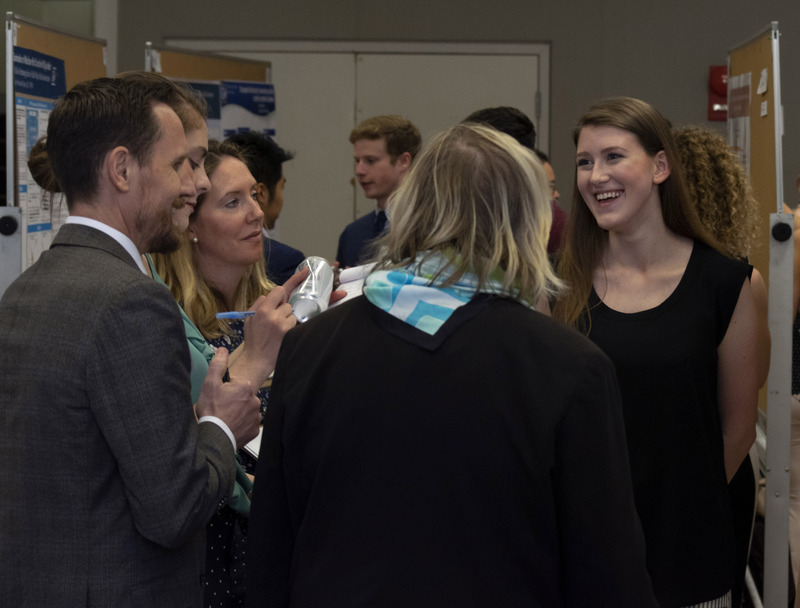 WAVE Lab member Sarah Zarsky recently received the George Washington University Sustainability Scholars Award, which will provide $5000 to fund her research project on workplace tracking practices. This research, to be showcased at The George Washington University Research Days on April 9th, focuses on individuals’ acceptance of and familiarity with workplace tracking – with specific emphasis on how workplace tracking can be used to monitor and increase sustainable behaviors. 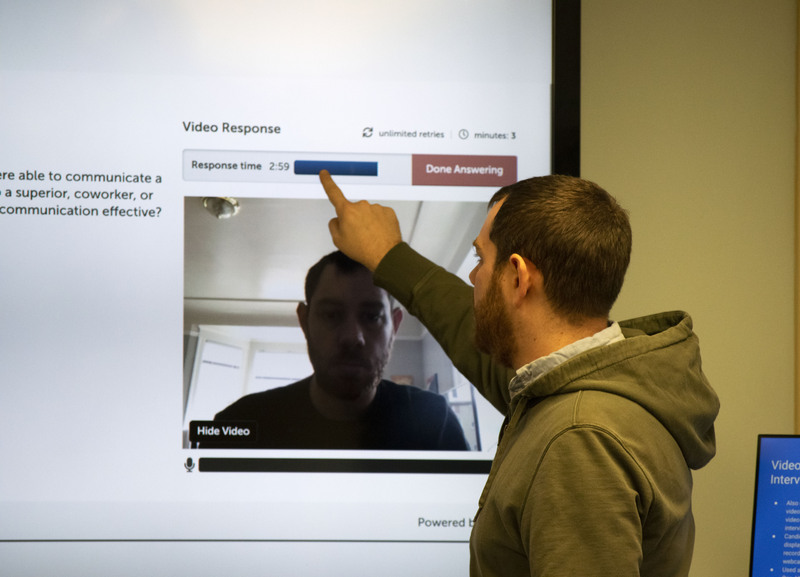 WAVE Lab member Samuel Kaminsky has successfully defended his dissertation, titled Video-Recorded Vs. Synchronous Interviews: Equivalence and Applicant Reactions. 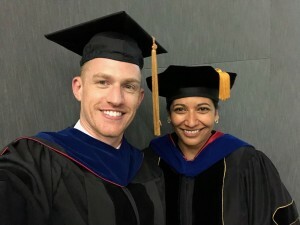 He conducted over 400 interviews with students, using either typical videoconferencing methods or one-way asynchronous methods. Results suggest that video-recorded interviews lead to less cognitive load, fewer impression management behaviors, and improved perceptions of procedural justice. Interview performance was invariant across administration media. The results generally support the use of video-recorded interviewing as a replacement for initial structured online interviews. Congratulations on this timely and useful study! 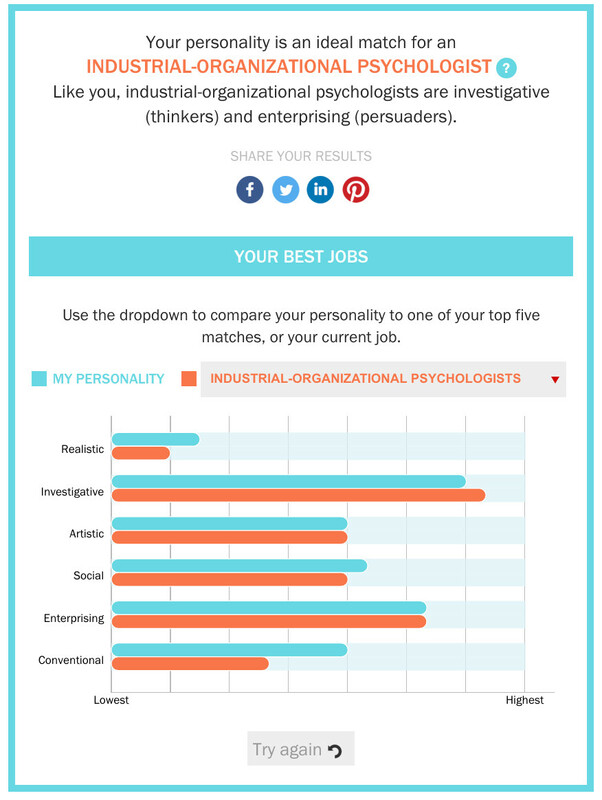 How Well Do You Fit With Your Job? With our colleagues from the Foster Workforce Development Institute, the WAVE Lab has partnered with TIME Magazine to conduct a study about vocational interests and aspirations. You can take the survey here. A publication from this data is forthcoming in the Journal of Vocational Behavior. 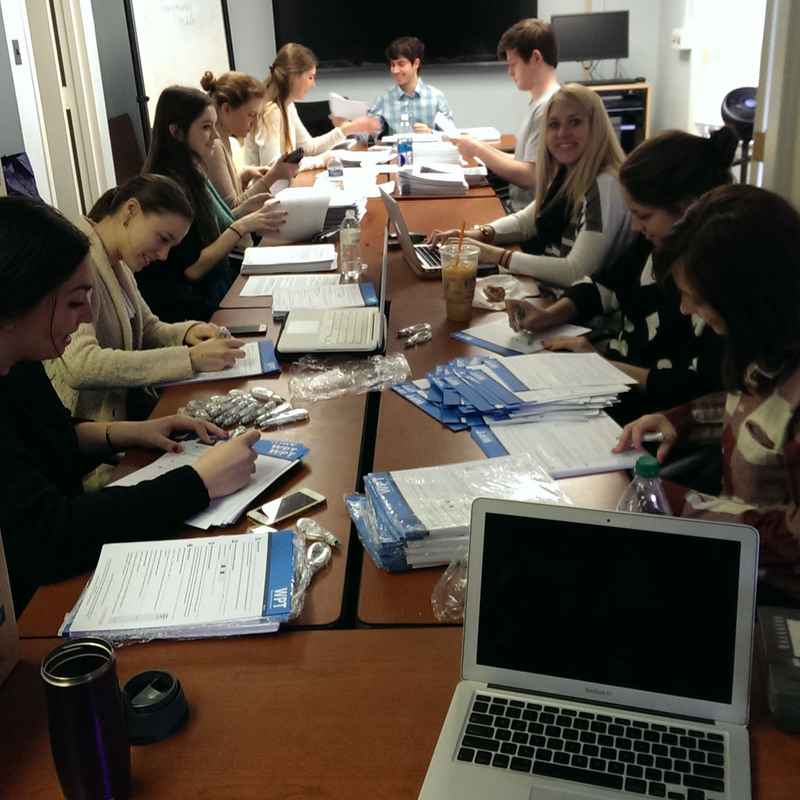 Glosenberg, A., Tracey, T. J. G., Behrend, T. S., Blustein, D. L., & Foster, L. L. (In press). Person-vocation fit across the world of work: Evaluating the generalizability of the circular model of vocational interests and social cognitive career theory across 74 countries. Journal of Vocational Behavior. https://www.sciencedirect.com/science/article/pii/S0001879119300028? As part of the Hogan Distinguished Speaker Series, Dr. Behrend speaks to the Hogan Assessments staff about advanced technologies in recruitment and selection. Author Lorna Collier writes about the rapidly expanding presence of workplace surveillance and company monitoring of employees in a recent issue of SAGE business researcher. The article contains a Q&A with Dr. Behrend on workplace surveillance. WAVE lab member Jerod White recently participated in the fifth annual PTCMW Graduate Student Consulting Challenge hosted by Aon. His team, which consisted of three other I/O graduate students (pictured below), was awarded first place. Teams were tasked with designing an innovative and efficient selection procedure for a security firm. They had one weekend to develop a proposal, write an executive summary of their plan, and give a 30-minute formal presentation to local I-Os and business professionals. Their winning proposal involved a variety of video- and game-based assessments of job-related competencies. 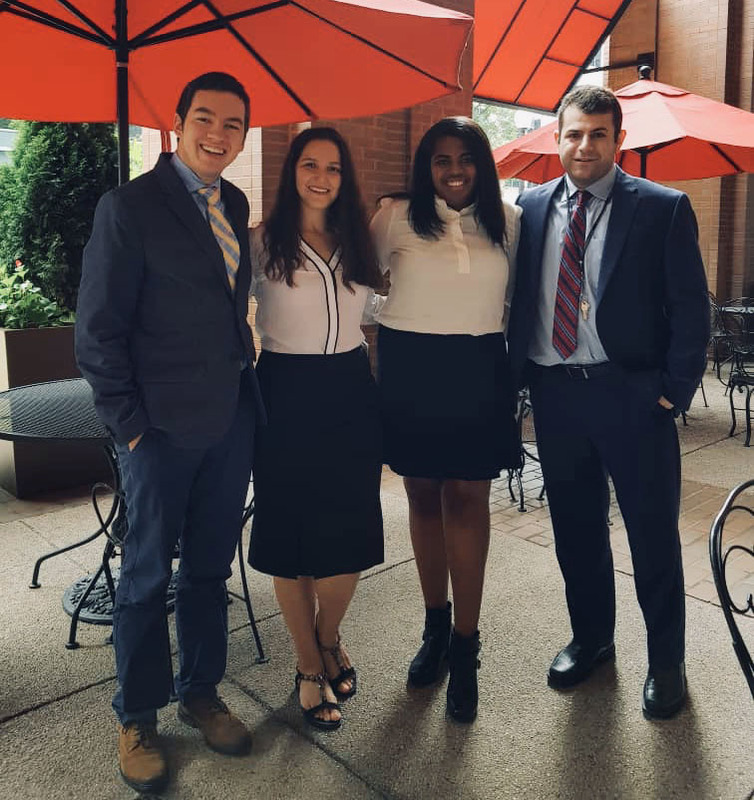 Pictured above (from left to right): Jerod White, Sabina Diyarova, Cierra Everette, and Alex Fernandes. Artificial intelligence (AI) is everywhere, from factories to self-driving cars to robotic vacuums. But what is artificial intelligence, really, and how does it influence work? Few I-O psychologists have formal training in computer science, yet most of them are aware of AI’s growing presence in the workplace. If you’ve ever struggled to understand the difference between a GitHub and a hubcap, or if deep learning puts you in a deep confusion, then this TIP article by the WAVE Lab’s Jerod White, along with Calista Tavallali and Sarah Reswow, will provide the jargon-free introduction to AI and its influence on the nature of work that you need. 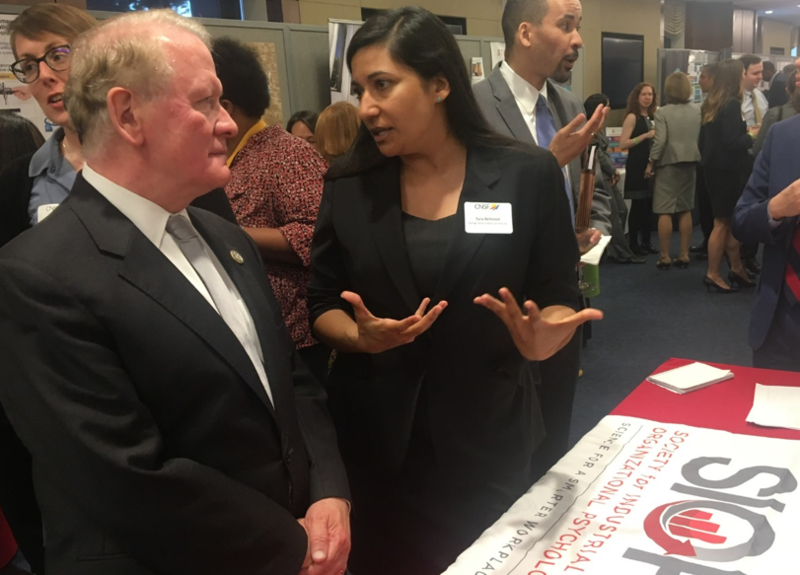 WAVE Lab Director Dr. Tara Behrend recently took part in the Coalition for National Science Funding (CNSF) Exhibition and meetings on Capitol Hill. During the meetings, Dr. Behrend spoke with members of and staff from a variety of congressional committees responsible for overseeing funding for National Science Foundation research related to scientific, technological, and economic opportunities in the United States. In these talks she discussed a range of topics including WAVE Lab research, inclusive STEM education, and how funding for research is fundamental to navigating current and future workforce issues. 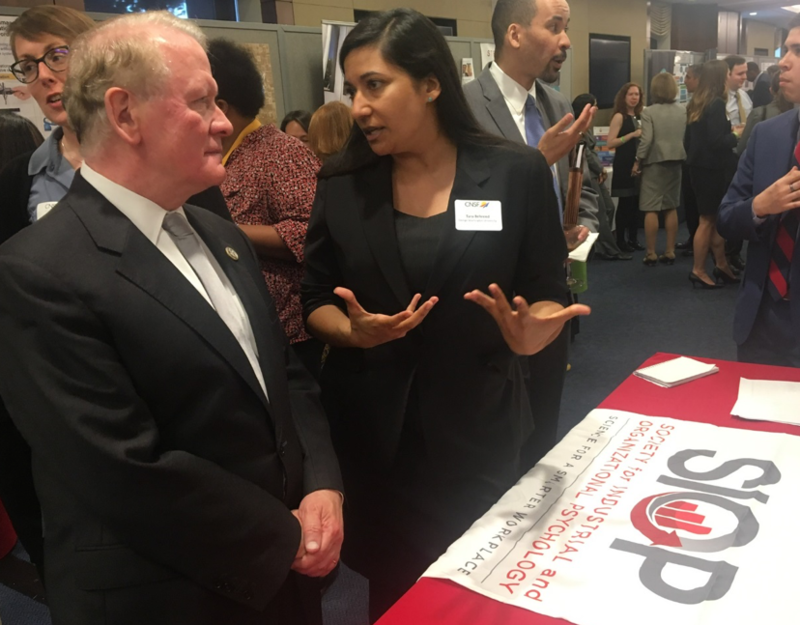 Dr. Behrend represented the Society for Industrial and Organizational Psychology (SIOP) at its booth during the exhibition portion of the event (pictured below). The WAVE Lab would like to congratulate its affiliated researcher Alex Gloss on his recent graduation and new job as Assistant Professor of Management at Loyola Marymount University. We wish you the best!